For superior chimney services, Chimney Sweeps West is the answer. For over 32 years, we have cleaned, repaired and thoroughly inspected chimneys in residences across Knoxville, TN and the surrounding communities. Our professional cleaning service creates no mess. 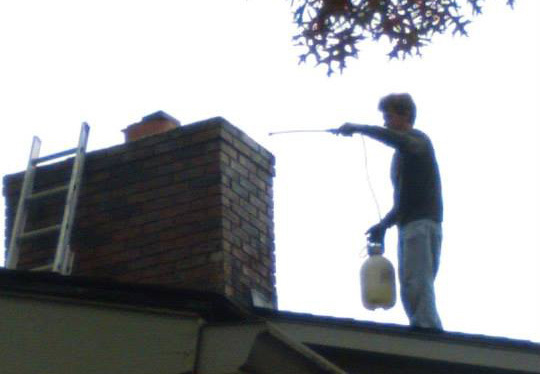 Our professional chimney inspections can identify safety and fire hazards that could make using your chimney dangerous. Before you use a chimney, we recommend you have it inspected. We can find damage early and save you money on major repair bills later. When you burn wood, unburned residue rises with the smoke and can begin to accumulate in your chimney causing a major fire hazard. Animals may also build nests in your chimney, creating fire hazards and causing smoke and dangerous carbon monoxide to backup into your home. Chimney installation, Chimney relining, Rain and animal chimney caps and dampers, Dryer vent cleaning.